Changing the engine oil and filter of your vehicle at the right intervals is important to protect the engine from premature wear and tear. Most auto manufacturers give recommendations on how often a car owner should change their oil and filter to prolong the life of the car’s engine. 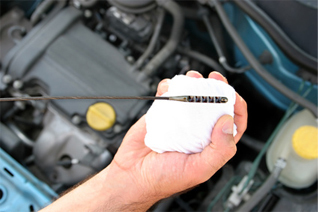 We, at B&C Auto Center can help you with your vehicle’s oil and filter change. Being one of the leading centers for San Jose auto repair and maintenance service, we offer oil and filter change service as well as different car repair jobs for all foreign and domestic cars. We advise our customers on when they should change their vehicle’s oil and filter so that the engine will run efficiently for many years to come. Some auto manufacturers recommend changing the oil once a year or every 7,500 miles. However, most auto experts, aftermarket service professionals suggest that it is always better to follow the three months-3,000 miles schedule, especially when you are using your vehicle in severe driving conditions. This is the reason why most auto manufacturers provide the "Severe Service" maintenance schedule in the car owner's manual, recommending oil and filter change intervals of three to six months or 3,000 miles. However, many car owners are not aware of what calls for ‘severe service’. Such driving conditions call for severe service of your vehicle. Even if you use protective additives in the motor oil, it will not provide protection in such driving conditions. Remember, if your engine is not allowed to run long enough, it will not get the oil hot. As a result, fuel vapors and moisture will not boil off, leading to accumulation of contaminants in the crankcase. Formation of corrosive acids and sludge buildup will result. The expert auto mechanics and auto repair technicians in our San Jose center also recommend regular oil changes for preventive maintenance. In fact, they think it is the most economical insurance you can get against engine wear and tear. It can help you save money in the long run by reducing the possibility of more costly engine repairs When it comes to replacing the filter, we suggest that it too needs to be changed every time you change the oil. And there are reasons- first, the filter contains dirty oil that can contaminate fresh oil added during an oil change; and second, the pint-sized filters do not contain as much filter material as their quart-sized counterparts. Call or email us today at 408-457-1184 or [email protected] and schedule your vehicle’s next oil and filter change. An engine that has been well maintained with regular oil and filter changes will require you to spend less on its maintenance, repair or service!